Classical Music: Madison Early Music Festival opens Saturday. Also, Saturday’s free events include WYSO’s instrument “petting zoo” and new music by NEW MUSE at MMoCA’s Art Fair on the Square; an organ recital in Overture Hall; and the debut of the guitar and voice duo The Dream Songs Project. A REMINDER: This Saturday marks the opening of the Madison Early Music Festival, which runs through next Saturday night, July 16. The topic this summer and next is early music in the New World. 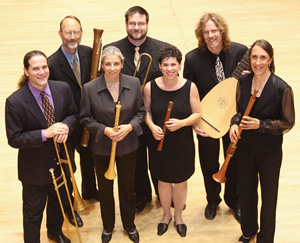 The opening public concert at 7:30 p.m. Saturday night in Mills Hall is by the returning Renaissance band Piffaro (below) and features a free lecture at 6:30 p.m. For more information, about the festival’s schedule, visit: http://www.dcs.wisc.edu/lsa/memf/schedule.htm and http://www.dcs.wisc.edu/lsa/memf/concerts.htm. For more about the festival in general visit: http://www.dcs.wisc.edu/lsa/memf/gi.htm. This Saturday and Sunday, festival co-director Paul Rowe will discuss the festival on this blog. The big event in Madison this weekend is the annual Art Fair on the Square, a fundraising event by the Madison Museum of Contemporary art that usually draws upwards of 200,000 people to the Capitol Square area. The emphasis will be on the fine arts of course. But the side areas also include a lot of music – including classical music. 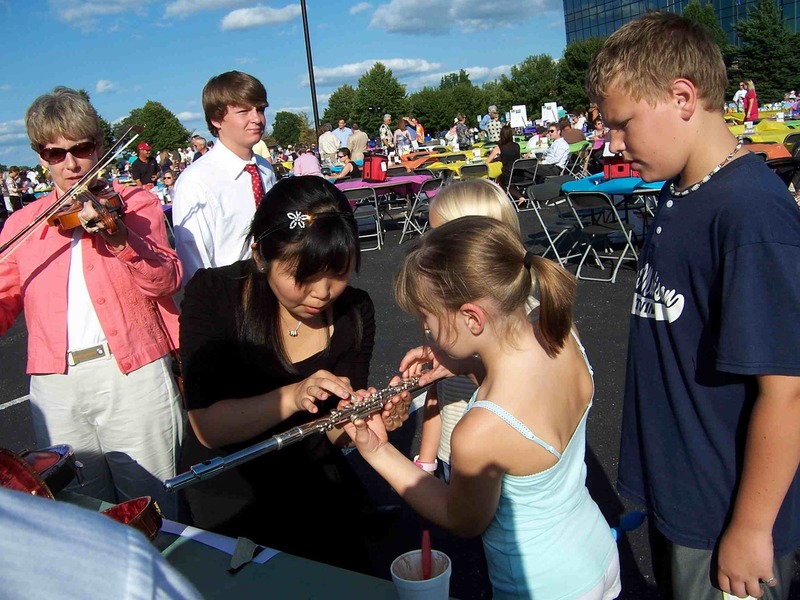 At the Art Fair on The Square this weekend, ON SATURDAY ONLY in the Kids’ Area Wisconsin Public Radio and Wisconsin Youth Symphony Orchestra will host an Instrument Petting Zoo on Saturday, July 9. This hands-on activity (below) introduces children, both young and old, to musical instruments. Children of all ages were invited to see, touch, hear, and play the instruments under the tutelage of Wisconsin Youth Symphony Orchestras protégés. 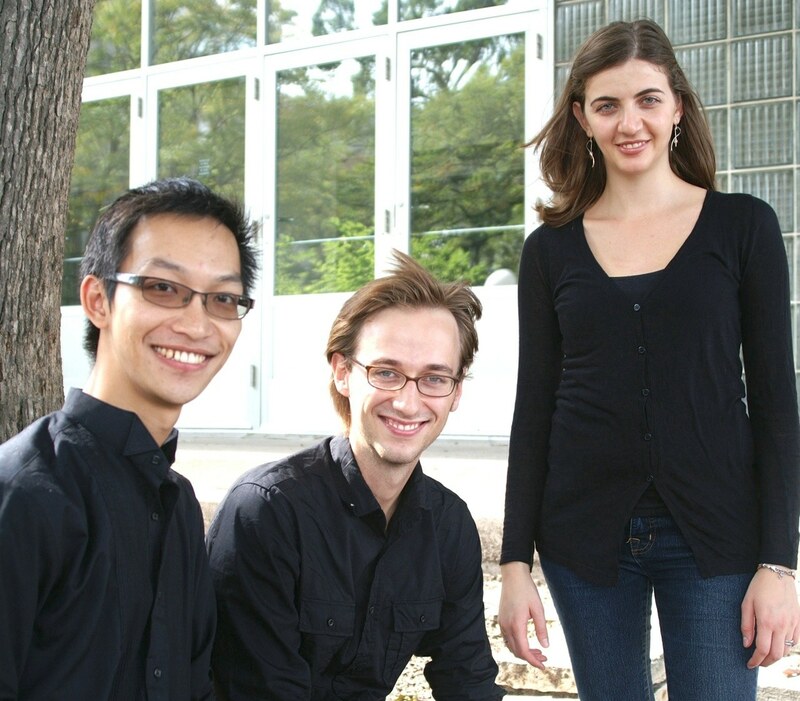 Also, the Madison-based group NEW MUSE (below, from left, Jerry Hui, Jonathan Kuuskoski and Paola Savvidou) is the only contemporary chamber ensemble selected to perform as part of the 2011 Art Fair on the Square — one of the Midwest’s largest outdoor art and music festivals. The performance begins at 9:30 a.m. on Saturday, July 9, and will include two world premieres by UW-Madison alumni — “Petrichor” by our very own Jerry Hui (flute, clarinet and percussion), and “More Cowbells, Less _____” by special guest composer Becky Lipsitz (flute, clarinet, bassoon and percussion). Also on the program: are “Hopi” by Philippe Hersant (solo bassoon); “A Minute of News” by Eugene Novotney (solo snare drum); “Side by Side” by Michio Kitazume (drums); selections from Four Songs by Jim Cuomo (voice and woodwinds); and “Zoom Tube” by Ian Clarke (solo flute). NEW MUSE can be found at the Wisconsin Public Radio Stage (State Street at the Capitol Square). 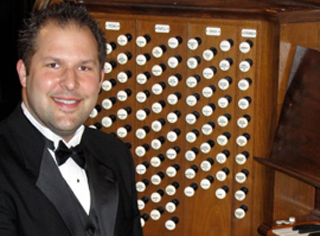 Also on SATURDAY, July 9, at 11 a.m. in Overture Hall of the Overture Center, the Madison Symphony Orchestra will present a free organ concert by UW-Madison-trained Jared Stellmacher (below). 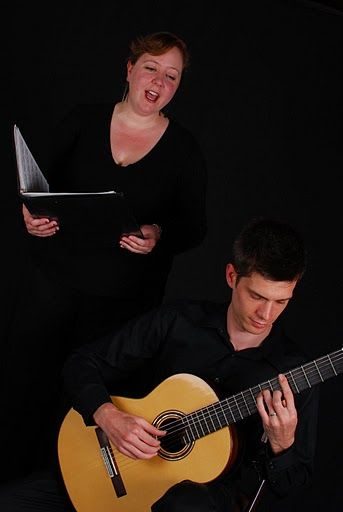 Also on Saturday, the classical guitar and voice duo, The Dream Songs Project, will perform a free concert at 7 p.m. in the Oakwood Village West Auditorium, 6209 Mineral Point Road. The Minneapolis-based duo, The Dream Songs Project, mezzo-soprano Alyssa Anderson and guitarist Joseph Spoelstra have collaborated on performances for nearly 10 years, but recently established a duo to explore the diverse repertoire for voice and guitar–from Renaissance lute-song transcriptions to new commissions. The Dream Songs Project will be covering much of this ground in a program of the works of Dominick Argento, John Dowland, Mauro Giuliani, and Matyas Seiber. In anticipation of the duo’s upcoming recording of selected works of Giuliani for voice and guitar, the program will feature a variety of lieder, romances, and ariette composed by the early-19th century Italian composer.